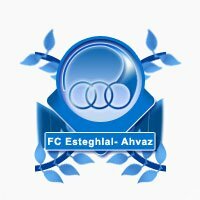 Esteghlal Ahvaz is an Iranian football club based in Ahvaz, Iran. The club was founded in 1948 with the help of Hakim Shoushtari. The club was one of Taj Tehran F.C. branches at the time, and was called Taj Ahvaz F.C. From the beginning the club was able to attract some of the better Khuzestani players. The team currently plays in Iran’s Premier Football League.